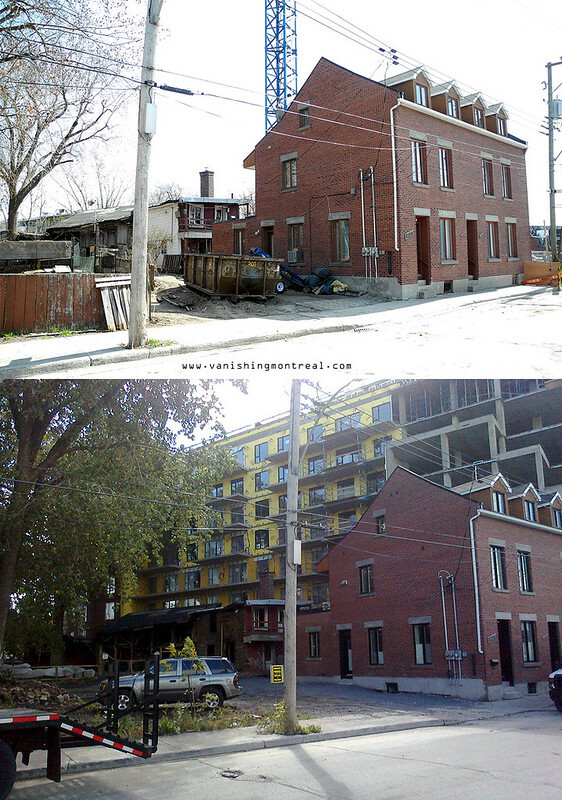 As construction continues around the Horse Palace in Griffintown, here's a Before & After. Ridiculous! Thank you for all of your posts regarding Griffintown. It is always with sadness that I see what is lost. I think the development is needed but it's still sad when history crumbles. Was this photo on Ottawa Street near Eleanor? I am working on an exhibition of collages, depicting Griffintown in 1940s and 1950s. One piece is about a store owned by the Guys in 50s. It was on the corner of Eleanor at Ottawa. Thank for keeping me up to date with what is happening. Just as ridiculous is the towering condo dwarfing Horse Palace's closest neighbor on Ottawa street. Another beautiful old house, with a large garden now deprived of much natural light.